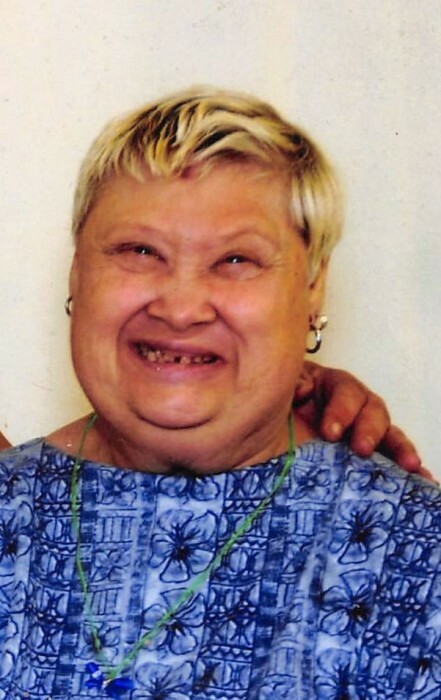 Theresa Ann Combs, 64 of Charlestown, IN passed away on Monday, January 29, 2019 at Kentuckiana Medical Center in Clarksville, IN. Theresa was born on May 26, 1955 in Jeffersonville, IN the daughter of Warren Garfield and Bessie M. Sumners Combs. Theresa always enjoyed working with beads, making jewelry, watching movies, playing video games and her favorite was yard sales and shopping. She worked in the past at New Hope Industries when it was in Charlestown, IN. Survivors include her mother, Bessie Combs of Charlestown; sisters, Vanessa Combs and Sarah Leonard both of Charlestown; brothers, Garland Combs of Charlestown and Tracy Combs (Sheila) of New Washington; nieces and nephews; great nieces and nephews; great-great nieces and nephew. Theresa was preceded in death by her father, niece, Stacy and great-nephew Alex. Funeral services will be held on Saturday, February 2, 2019 at 1:00 P.M. at Grayson Funeral Home in Charlestown with burial in Old Salem Cemetery. Visitation will begin at 3:00 P.M. to 8:00 P.M. on Friday and after 9:00 A.M. Saturday.